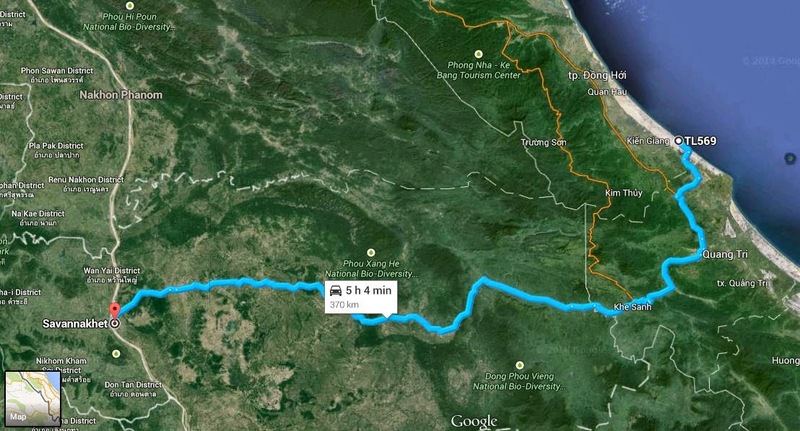 Giant Consolidated Limited, the developer of the US$5 billion Savan-Laobao rail project, has confirmed progress has been made in the preparatory stage of the 220km project to link central Savannakhet province with Laobao on the Vietnam border. The Malaysian investor dismissed a report, carried by Vientiane Times on May 28 citing an anonymous government official, that progress on the mega project had not been made. The investor signed a master agreement with the Lao government to develop the project in November 2012, witnessed by Lao Prime Minister Thongsing Thammavong and Malaysian Prime Minister Datuk Seri Najib Razak. Chief Operations Officer than General Manager of Giant Consolidated Dr. Frank Xenker Firuz confirmed with the Vientiane Times on Monday that a lot of work had been done. However, the physical construction of the railway has yet to begin. Offhand he could not give the percentage of the progress. He was also unable to say when the project will be complete as this will be subject to final approval from the Lao government. Detailing the progress the company said in its press release it paid US$1.3 million to the Lao government one week after the master agreement was signed, as a bond for the execution of the agreement. In the same month teams from the Lao Ministry of Public Works and Transport, Lao Railway Administration, Savannakhet provincial Department of Public Works and Transport together with the company's main contractors and surveyors conducted a site survey for the project. In April 2013 the main contractor appointed China Railway Siyuan Survey and Design Group Co., Ltd to do a final survey and design of the railway. Soon after, the main contractor appointed CCCC Third Harbor Engineering Co., Ltd for town planning and the design of new townships along the railway line, according to the press release. In June 2013 the initial report on the above preparatory works was submitted to the Lao Government. The company said a soft-launching and ground-breaking ceremony at the project site in Savannakhet took place in December last year. At present, Digimap Sdn. Bhd of Malaysia is completing the final survey to refine the alignment of the centre line of the railway. The company said the initial survey conducted by the Chinese company had to be adjusted because the planned railway corridor would have passed through an army camp, cemetery, factories, and populated areas. Benchmarks have been completed and a total of 154 GPS identification points have been established along the railway corridor from Savannakhet to Dan Savan. More GPS points will be erected after the alignment has been refined to avoid passing through potentially problematic areas that may increase construction costs. UXO clearance teams are working daily and have found a total of nine unexploded bombs at the proposed Nasy Station alone. The clearance teams have to remove all UXO before more GPS points can be set up to ensure correct alignment before the physical construction of the railway can begin. At present the contractors have deployed around 100 personnel for UXO clearance and 30 surveyors for the refining of the railway track alignment. “Without proper alignment we cannot proceed with the project. Without clearance of the UXO we cannot proceed with the project,” Dr Firuz said. He added that he was unable to say when all UXO will have been removed. Dr Firuz said the final survey and its related documents would be submitted to the Lao government for approval. 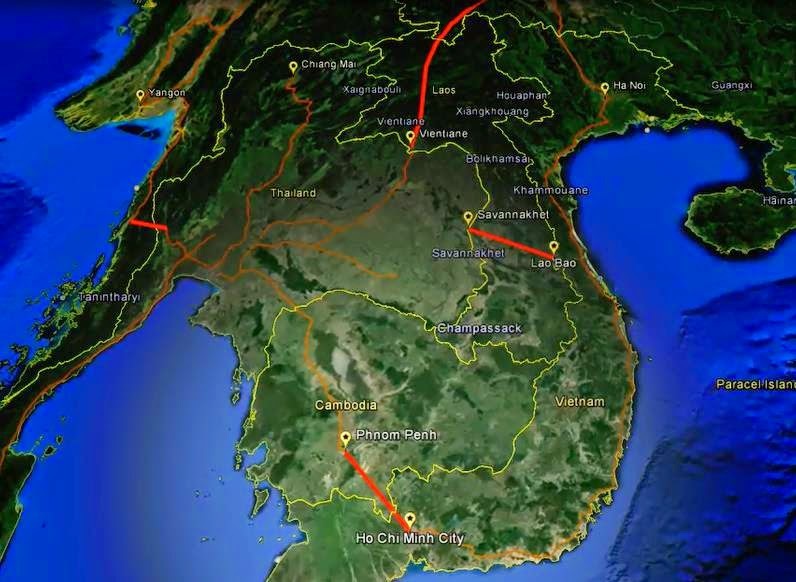 Previously, Giant Consolidated had also signed a memorandum of understanding with the Vietnamese Government via the Quangtri Provincial Authority in 2009 to link the railway from Laobao to Dong Ha, to provide rail access right through to the My Thuy deep seaport in Vietnam. The Giant Consolidated Group said it was committed to completing the project that would certainly contribute to transforming Laos from a land-locked to a land-linked country, helping to rapidly develop the Lao nation. Many construction materials will have to be imported, especially from other ASEAN countries, it will be only feasible once the AEC reduce import tariffs that will take effect by end of 2015.